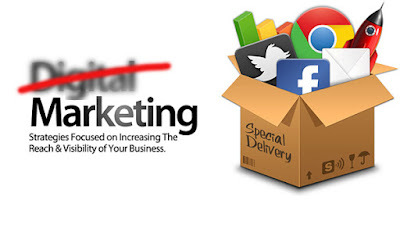 Home » advertising » marketing » media » social media » Are you still into 'digital' marketing? Isn't that so yesterday? Are you still into 'digital' marketing? Isn't that so yesterday? If you're still talking about 'digital' marketing today, may I suggest you're just slightly behind our times. I get 'social', I get 'online' or 'mobile', I get 'wearables and IOT', and I do get 'content marketing' but today, I'm a little ahead of 'digital'. Yes, I am saying digital is so yesterday, so generic in its usage today, that it has lost its meaning, its value to set apart. Every marketer's goal today is engagement and interactivity. They're using channels that we call 'digital' but those are the channels that every one's using, so why the label? If a brand comes to an agency to develop and distribute a campaign that spends its entire dollar on digital mediums, how is that not its overall media budget, and not just a 'digital media' budget? Today, marketing strategies are focused on increasing the reach and visibility of that brands business. These strategies are across channels that we normally umbrella shade under digital. But they're social, they're mobile, they're wearable, they're activation based – and they all use technology and connectivity. But they are beyond digital. Far beyond. A calculator is digital. A Casio watch is digital. A display on you speedometer is digital. But your marketing? Does your website display numbers in that crazy digital font? Or is it about value-adding contextually relevant content that engages the consumer, and goes far beyond the technology it platforms on, rather than the tech itself? One of the world's most successful, most sought after agencies (digital agencies, ahem) is R/GA. Go to their website and see what it is. They are an agency for the connected age. They used to say ' an agency for the digital age', but that was yesterday for them. At MCN – the Middle East Communications Network – one of the largest advertising, marketing, media and PR agency groups in the Middle East and North Africa, Group CEO, Ghassan Harfouche openly admits he hates the word 'digital' to describe any of his agencies' products and solutions. "If a large majority of what we do for our clients is across channels that use technology (that we used to call digital), why do we need to say digital to describe that component?" he asks. Right Ghassan. Dropping 'digital' is a move on. It embraces holistic, and channel agnostic, and integrated thinking, it shuns bracketing and boxing it. I believe marketing needs to come up with creative solutions, creative messages, great storytelling – all towards engaging the consumer, participating rather than shouting across digital (and assorted other traditional' media). By the way, 'traditional' mediums? Today? For me, traditional is banners in online advertising. Old tech. Old creative approaches. Sure, we still band tv, radio, newspapers and outdoor under traditional media. But I suspect that's such an agency and a tired marketer's perspective. We have moved on, haven't we? For today's consumer traditional, perhaps, is Facebook or Twitter (ten years old this week), and Snapchat is here and now. It's important to realize that technology keeps changing, evolving, adapting to consumer needs. And agencies or brands that are reliant on so called digital aspect only of tech are really getting a bit past their sell-by date.One needs to focus on user experience – totally agnostic of when, where, and how. Its the experience that is key. The channel fascination is yesterday. We need to be aware of the technology around us that's helping us stay connected and engaged. Connected amongst ourselves and with brands who are trying to reach out to us and do the same. So, rather than narrow down and specialize on 'digital', as a brand, as a marketer, as an agency, its better to focus on the end game – which is what and where and how one connects and engages. And a lot of that 'what' is in value, a lot of that 'where' is in context, and a lot of that 'how' is in getting point and time of engagement right. Today is about programmatic, contextual, about behavior tracking, about data driven dynamic messaging. Today is about content. About the consumer's moments – when they want to know, want to do, want to be somewhere, want to share, and want to be part of. Thats a lot more than digital. A lot more than a calculator, which is, as we know it – is digital. And, your marketing should be a whole lot more than that. This is such a great post. Thanks. We still are in a backward position when we say digital marketing, when leading markets are moving on. Fantastic that you brought this discussion into the open. There are so many ways to describe what we do these days, and I love what you said about 'channel agnostic' approach. Whether it is via social or online, via mobile or tv, we still need to connect with our targets. Really wish we can ask and answer this on a forum like Quora. Yes, most people would agree with this point of view, but there is a huge percentage of companies and their agencies still talking about 'digital marketing'. So, what is said here on the post is that agencies should be labeled as "Mobile" "Wearable" and "Social" rather than "Digital". Is that too much for marketing decision makers?